Not to be out-done by her brothers, Kaylee is in school as well. Home preschool with Mom that is! I purchased an online curriculum a couple of years ago and absolutley love it. It came with probably 1,000 printables and a yearly calendar with all sorts of fun subjects! (www.kidsparkz.com) I won’t be posting everything that we do together, but if there is a project that she espeically liked I will share it! And this was one of those projects! We were going apple picking that weekend and so I thought that an apple theme would be fun to do before we went to get our own! She loved it. I printed out a few printables, including this apple book. She had fun coloring it and putting it together. We read it over and over and then she “read” it to me a few times. I like to eat red apples. I like to eat green apples. I like to eat yellow apples. I like to eat sweet apples. I like to eat sour apples. But I don’t like to eat THIS apple! I thought she might like a fun little toy to go with it, so we headed upstairs to my felt stash. center of the apple (through both layers) for the little worm to pop through. 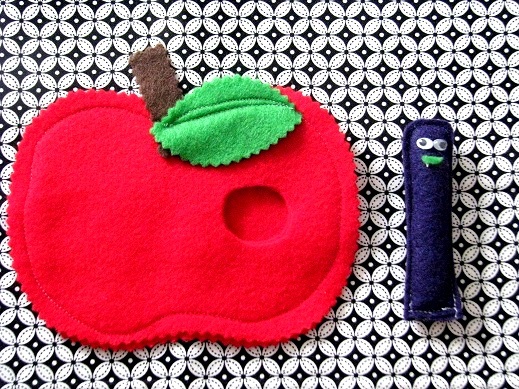 For the worm: Cut out two rectangles out of felt. 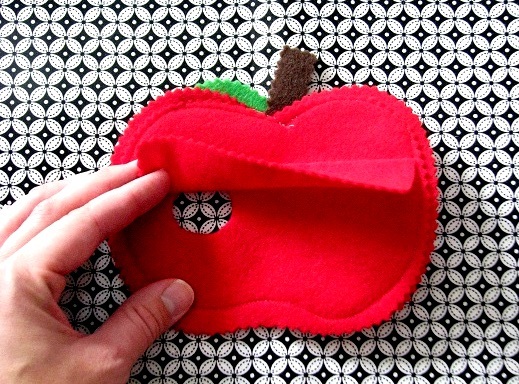 Draw a worm shape on the top piece, then sew over your drawing. Trim closely around the seam line. Stuff with batting, then sew up the bottom. Hot glue on some googly eyes and a little mouth if desired. On the back side, I hot glued a strip of felt to make a flap. The worm slides under the flap. If I were to do this again, I might have made the apple a bit bigger and made pocket to store it in so that it doesn’t get lost, but this works just fine for us. 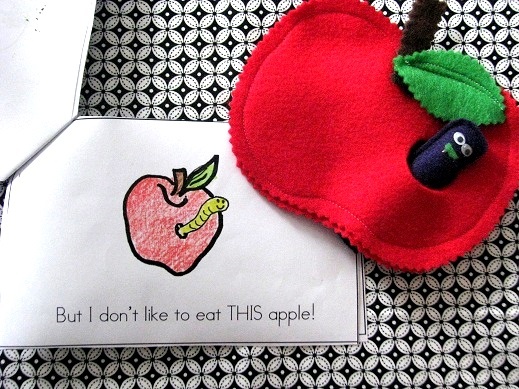 If you are interested in some free printables on apples, click here! I can’t share the download for the little book since it was part of my purchaed file, but it would be easy to create one of your own as well! Can you tell me the website that you bought the curriculum from? I am looking for one. Thanks! Fun! 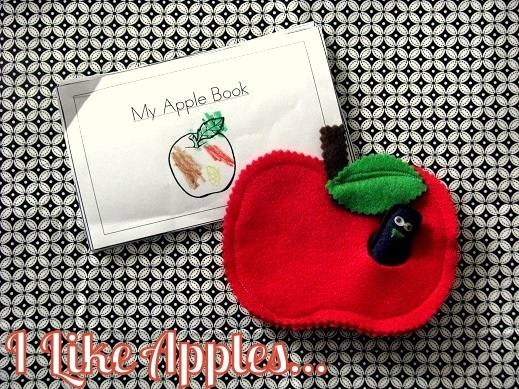 My little one and I are always doing Felt Projects and L would love this cause she loves apples. Wow…you are a busy, busy momma! This is absolutely adorable! Oh i hope you’ll submit this to http://funfamilycrafts.com it’s totally adorable! Cute!! I like the idea of a pocket. Is the flap necessary? great idea- I’m pinning it! So adorable as well! Thank you for sharing this and linking to it in your Halloween pouches. Just found you from homeschool creations apple round up of ideas. This is so cute and I can’t wait to make it with my daughters. Thanks for sharing, we just finished A is for Alligator and it will be such fun to do A is for Apple!